Let’s face it. Sometimes a Disney vacation can be absolutely exhausting! That’s why we like to seek out bars and lounges in which we can share fun with family and friends or relax while enjoying good food and special beverages. 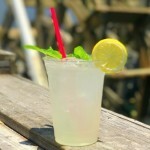 A while back, we took a look at our Top 10 Disney World Bars and Lounges, and now it’s time to take a peek at our favorites in the Disneyland Parks and Resorts! Here are our picks for Top Six Disneyland bars and lounges — a list that includes a little help from our Facebook Friends! Thanks for your input! 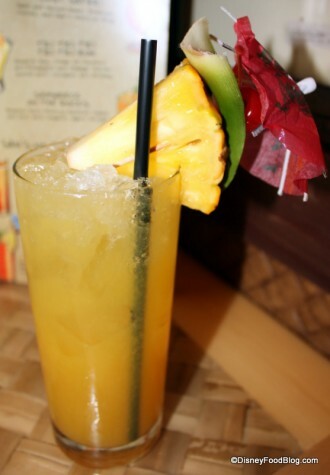 Trader Sam’s should be your first choice for chilling out in Disneyland! This place is an awesome tropical retreat located at the Disneyland Hotel. Check out our Trader Sam’s Review here! While there is indoor and outdoor seating, all of the action is inside where there is limited seating (about 50 spots); so get here early as evenings may be quite crowded. 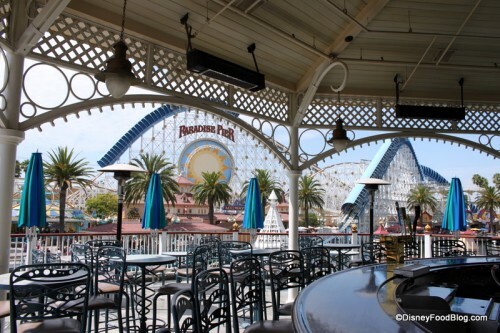 Located in Disney California Adventure, the Cove Bar (not to be mistaken for Cove Cafe on the Disney Cruise Ships or the Cove Bar at Disney World’s Contemporary Resort…) is your place to escape the long lines and hot sun while enjoying great water-side views. Leave the thrills behind and savor specialty drinks and craft beers. The Raspberry Rain is a memorable choice! Look for an attractive menu offering my favorite, Buffalo Wings, and Lobster Nachos. 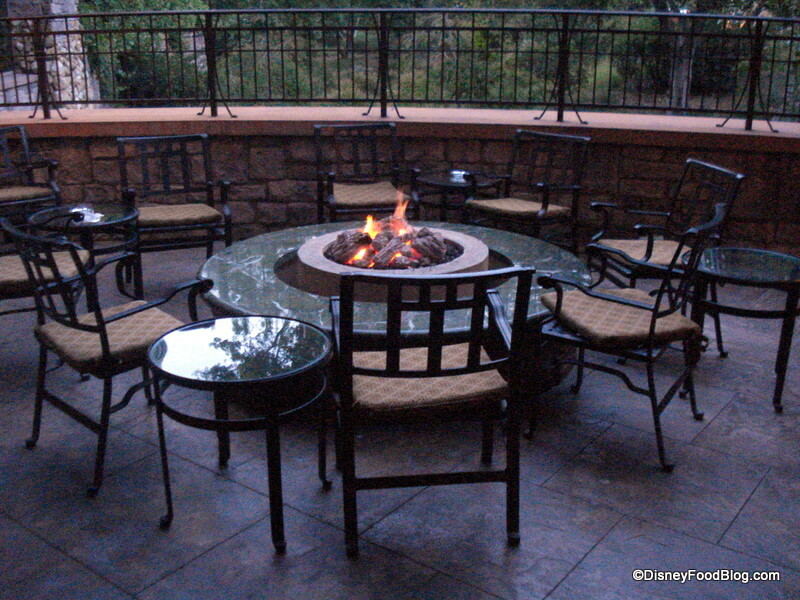 Make the Hearthstone Lounge in the Grand Californian Resort a must-do in Disneyland. Whether you are looking for some quiet alone time or bringing along friends, this cozy fireside lounge has a lodge theme and soaring ceilings that immediately relax you. And that’s before your first drink order! Take a seat at the bar, on a cozy sofa, or at a table. You may even be up for a game of chess! In the morning, the Hearthstone Lounge offers a continental breakfast. Later in the day, the lounge serves appetizers. Try a flatbread for a light lunch! Stop here for the relaxing atmosphere inside the Grand Californian Resort’s Napa Rose Restaurant. 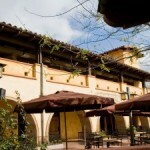 It’s a great place to enjoy food from the popular and award-winning restaurant, but in a more casual environment. The lounge serves appetizers, salad, soup, pizzettas (get the one with the red grapes! ), made-to-order starters, and delicious desserts. Sit back in a comfortable chair and converse with friends or head out to the outdoor, fire pit seating area for extra warmth! 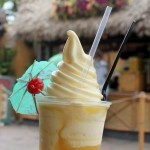 Want a break while in Disney California Adventure? 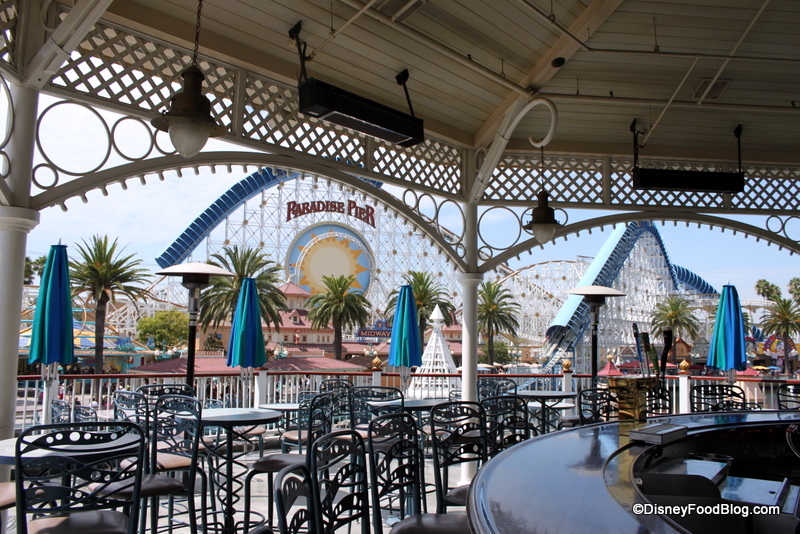 Stop by the Wine Country Trattoria‘s second floor lounge, which overlooks Paradise Pier from the outdoor deck. In this out-of-the-way spot, there’s a menu of delicious appetizers and some fantastic California wines. Al Fresco is off-the-beaten path and allows you an in-park escape where you can enjoy a round of beers, a wine flight, or specialty cocktails. Nestled on the welcoming first floor of this new restaurant, Carthay Circle Lounge is a luxurious place to unwind…and of course, indulge! And if you’re feeling hungry, there are food offerings for a quick meal! Expert mixologists create dazzling cocktails, and serve up craft beer and wine! 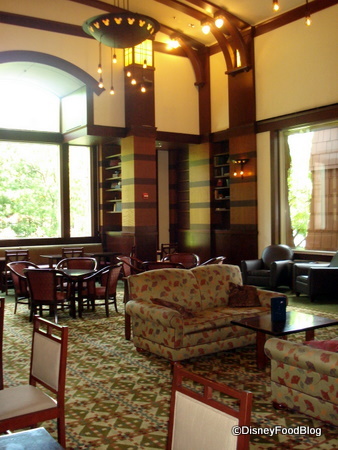 Don’t forget to stop in here to get the same menu of eats that is found in the exclusive 1901 Lounge! 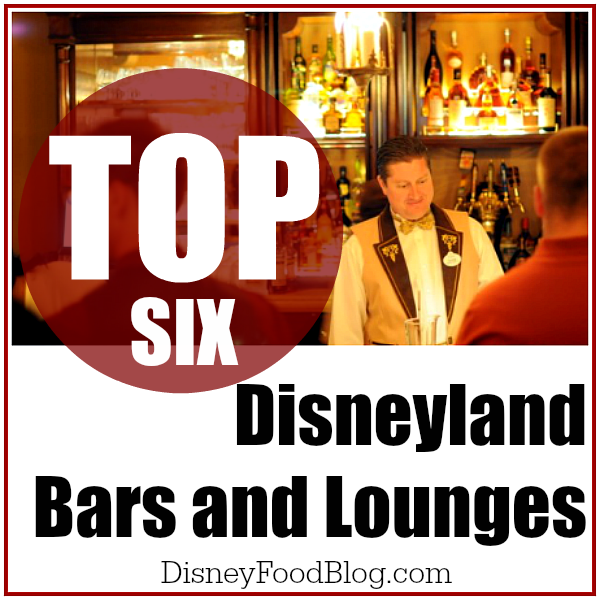 Of course, there are plenty more fantastic bars and lounges in Disneyland and DCA; we just wanted to share a few of our favorites! 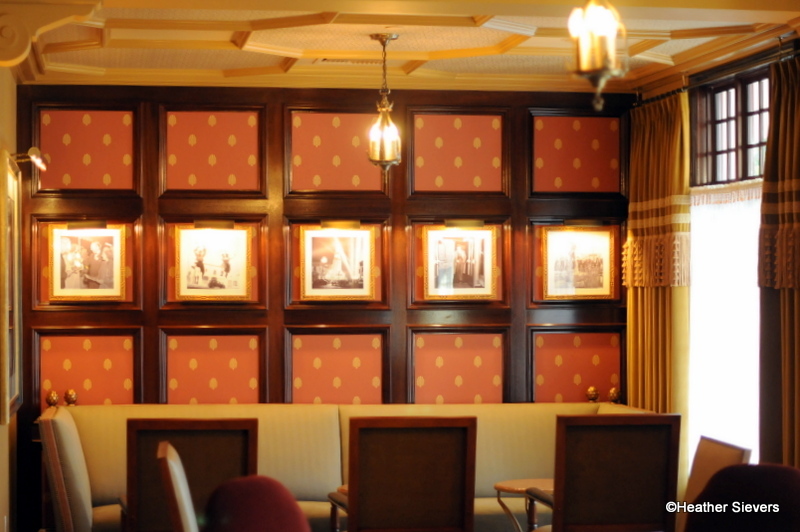 You should also definitely check out the swanky, art deco gorgeousness of the Steakhouse 55 Lounge in the Disneyland Resort, and the trendy menu of the Uva Bar in Downtown Disney! 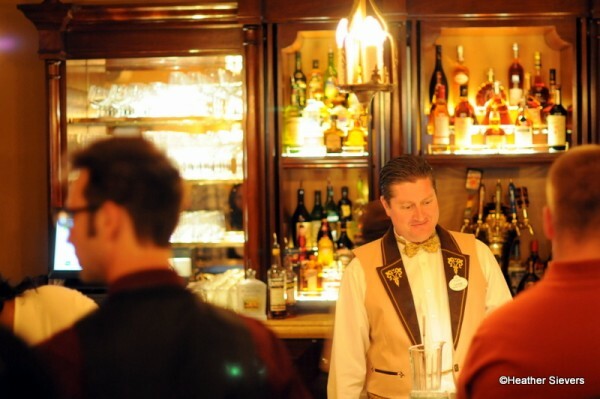 Did we miss your favorite hang-out at a Disneyland bar or lounge? Chime in and let us know what you love! Nate G. — YES!! They do have dueling pianos on certain nights!! Thanks for the reminder; I’d love to see them sometime. Awesome! I was unaware of two of these places and now I really have to check them out. Thanks for this post! Do the bars have age restrictions? 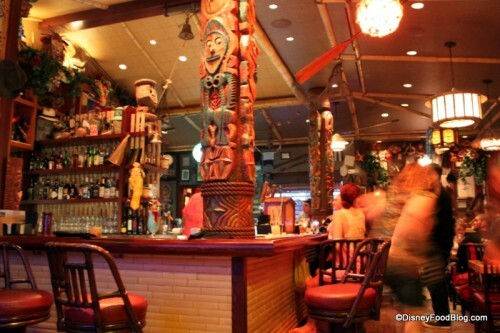 We’d love to try Trader Sam’s on our next visit but we’ll have two teens in tow. 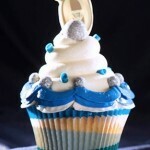 Jennifer Lynn — So glad you’ve got new places to check out now! Jen — Trader Sam’s does not have age restrictions during the day. It does turn into 21-and-over at night. The dueling pianos are great! I caught them the last time I was at DLR and loved it! I believe it’s Thursday nights from 9p-1a. They have a limited food menu of some great choices. If you have a chance to go…go! Deneice — Thanks for the tip! Looking forward to it! Are the musicians always the same? Tony T — What’s your favorite from the new menu there? 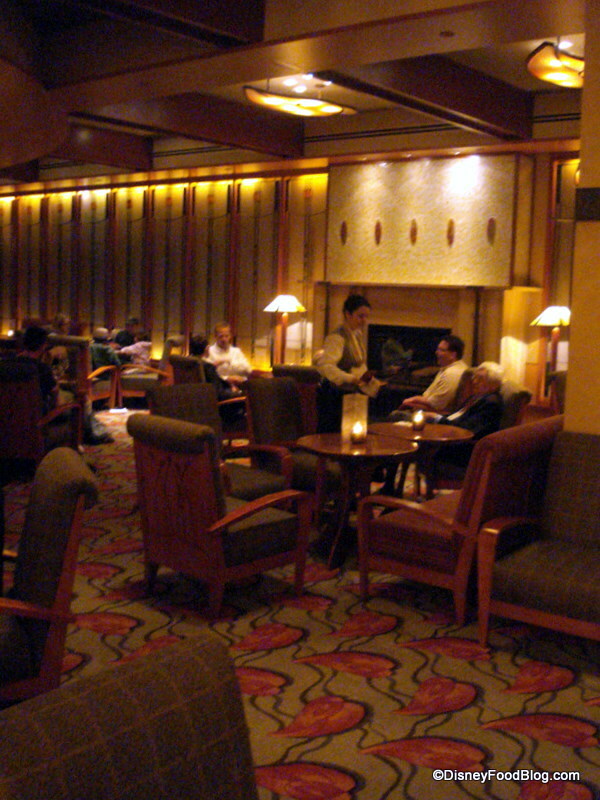 Looks like the Napa Rose Lounge is on my list for my next trip to DL. I have eaten at the Nape Rose but never visited the lounge! Here are my picks for Best Lounge/Bar. Carthay Circle Lounge, Disney’s California Adventure – Small and sophisticated. Hearthstone Lounge, Disney’s Grand Californian Hotel & Spa – Have an Irish Coffee in front of a cozy fireplace. Trader Sam’s – Enchanted Tiki Bar, Disneyland Hotel – Half of the fun is the show! 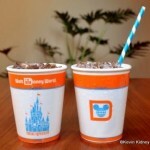 The Drop Off Pool Bar, Disney’s Art of Animation Resort – The best pool bar at Disney World.